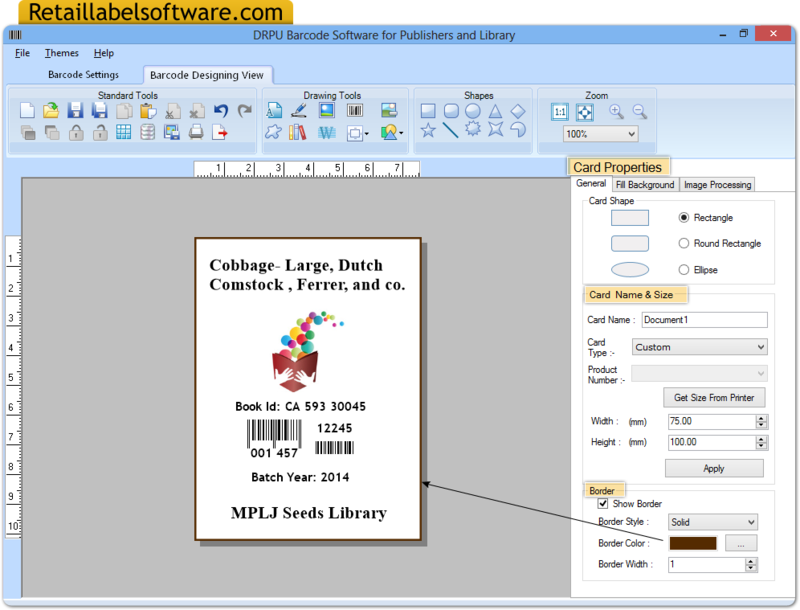 Barcode Software is designed to generate barcode labels for Libraries and Publishing Company. The use of barcode technology provides useful help for automation of Library system and similarly helps Books publishing industry for easy management of books and other stock details. Barcode generator software design and print Books labels, Audio CD label, Audio DVD label, Video CD label, Video DVD label and other similar type of labels, stickers for labeling process. Supports major Linear and 2d barcodes fonts. Provides advance barcode designing view for barcode label creation process. Support barcode printer for barcode label printing process. No special technical guidance required to execute barcode software. Software designed with the use of advance bar code system for simplifying barcode labels creation process.